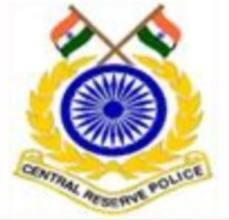 Applications are invited from Male and Female Indian citizens who are ordinarily resident in Maharashtra, Gujarat, Andhra Pradesh, Karnataka, Tamilnadu and Kerala for filling up the vacancies of Constables (Trade & Technical) in Central Reserve Police Force. CRPF Constable Recruitment is a good oppurtunity for candidates who posses matriculation and have Specific Trade Qualifications like driving, fitting,tailoring etc. A total of 819 vacancies have been Notified under the CRPF Constable Recruitment 2012. Here is the State-wise break-up of these vacancies. Applicants applying for the Constable post in CRPF, must be aged in between 18 years to 23 years (As on 01-08-2012). Minimum Qualification for CRPF Constable Recruitment is Matriculation (10th Pass). Apart from the Educational Qualification, applicants must full the trade specific qualifications. For Complete Details on respective Trade Qualification, applicants must go through the detailed advt. The selection methodology will comprise of Written test, Physical Test, Trade Test, Medical Checkup and finally Document Verification. An application fee of Rs 50/- have to be paid either through Demand Draft, Postal Order or Banker's Cheque Favouring The Deputy Inspector General of Police of concerned application receiving centre. There is no fee for Female Candidates and candidates belonging to SC/ST Communities.